Dharamsala Miniguide, Dharamshala Miniguide,Dharamshala Holidays, Kangra, India, Tibetan Monasteries, Hindu Temples, Budget Hotels, Dharamshala,Sightseeing,Places to visit in Dharamshala,Adventure Treks, Tibetan Home, Home Stay,Dharamshala Dharamshala !! Dharamsala Miniguide introduces... Dharamshala Holidays! In the home of His Holiness, 14th Dalai Lama of Tibet in Dharamsala, enjoy a rejuvenating experience of cultural insights of Dharamsala..An India Himalayas Miniguide of all faiths and traditions scripting a Travel Guide for Dharamshala ! Sightseeing in Dharamshala Miniguide .. In Dharamshala, you can explore the exciting sightseeing of 'walking down history lanes' in Kangra Valley..visiting Ancient Hindu Temples and rediscovering Tibetan monasteries and mantra-chanting monks. 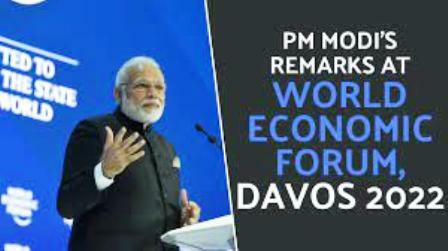 This Himalayan today offers a wide range of health and healing activities like yoga ,meditation,spritual teachings and vedic kitchen cooking classes. See Places to visit with Dharamsala Miniguide! 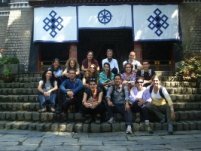 Enjoy Adventure treks and Buddhist Tour in Dharamsala! 'Bhagsu ' is the old name of Dharamsala, dedicated to the Great Snake King. Ancient legend depicts the dharma fight between the King of Bhagsu and the Serpent Demi-God. Both were injured during this long battle. The main reason for this Dharma battle was the release of the holy water from the Mountain which the Serpent King had stopped. The Demi-God was impressed with the King's courage and granted him a wish. The Bhagsu king wished that this holy water should bless his land and the people forever. 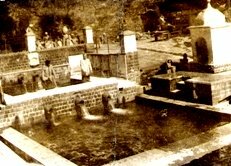 Till today, this Holy water in Dharamshala cleanses the Holy Valley of Kangra. 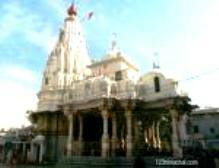 This Ancient Holy Shrine is mentioned in almost all Miniguides of Himachal Pradesh. Ancient Brajeshwari Kangra Temple..in Dharamshala ! 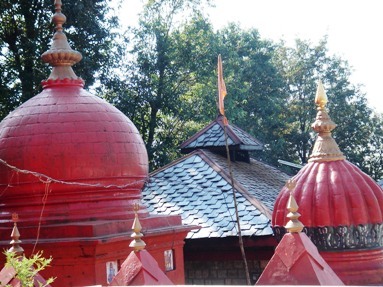 With Dharamsala Miniguide, you can explore this ancient 'Shakti' temple of Brajeshwari Devi. Dharamsala History Miniguide.. enfolds that this famous Temple was filled with ancient fortune in diamonds and pearls. Thus, came the intruders like Mahmud Gazni (11th century), Feroz Tuglak, Timur the Lame to plunder it its riches. The Mighty Moghuls followed and restored the shrine to its glory. It is dedicated to the blessings of God Shiva and Narayan, which was bestowed upon the Great demon - 'Jallandar' when he was killed by them. Ancient Jain Temple in Kangra..in Dharamshala ! With Dharamsala Miniguide experience the orthodox form of 'non violence' in the ancient Jain Temple of Kangra. Many Jain monks have travelled and meditated at this shrine over centuries in Dharamsala. The Rock Cave Shrine of Kunal Pathri Devi..A Miniguide Description ! Fringed by, beautiful green tea gardens and pine forests this ancient Rock Cave shrine, is 3 Kms away from the main town Dharamsala. It is dedicated to the local Goddess 'Kunal Pathri'. Legends says that the Holy rock flowed with milk and honey in the past ! Miniguide Legend of The Ancient Aghanjhar Mahadev Temple in Dharamsala! The Dharamsala Miniguide takes you to the 200 years old Temple of Shiva..The 'AGhanjhar Mahadev', dedicated to Shiva's Serpent King, 'Sheesh-Nag'. Surrounded by forest of Rhodos and the Ghanjhar Natural stream...a great place for solitude and meditation. You can visit the Rock Cave of the 'shivling' a few metres away near the stream. This is the shrine where Arjuna before the epic war of the MahaBharat saught the blessings of Lord Shiva. Experience with Dharamsala Miniguide, in the spectacular Dhauladhar ranges of the Himalayas..the Chinmaya Tapovan Ashram, one of the many retreats of the Chinmaya Missions. Apart from its importance in being a center of the Sandeepany Vedanta course, camps, and the Chinmaya Rural Primary Health and Training Center, this ashram is special as this is also Swami Chinmayananda's last resting-place, who attained Mahasamadhi in August 1993 . All miniguides enfold that this 'Ashram' is named after the Guru Swami Chinmayananda in Tapovanj. People in search for spiritual succor make their way to this ashram from all across the country and the world. The Ashram also holds short duration courses on the Holy Gita (The sacred book of the Hindus)and the Ancient 'Vedas'. here in Dharamsala the Mission trains health workers to look after the health needs of the villagers living in the Kangra valley. 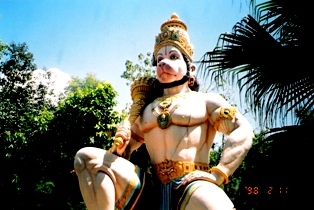 As one approaches the ashram, a huge idol of the Monkey God, Hanuman meets the eye. It appears as if he is standing guard at the ashram gate. This is the reason why the ashram is also called the Sidhabari ashram, dedicated to 'Lord Hanuman' one of the most powerful of all Gods in the pantheon of India Miniguide Gods !! Dharamsala is a popular place for Yoga and Meditation along with nature walks and treks. For more on Chinmaya in Dharamsala...Click Here ! The St. John's Church in the Wilderness...in Dharamshala ! Dharamsala Miniguide gives you to the passion of the scottish working peer, the Eight Viceroy of India..Lord Elgin's love for Dharamsala. 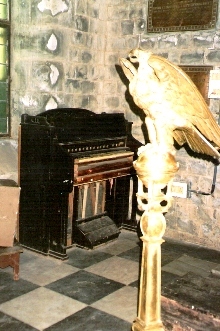 A church was built in 1852, dedicated to the patron saint of Scotland. His was buried here in 1862 as per his wishes. This neo-gothic stone church had some fine Belgian stain glass windows. There is 'mass' ceremony every sundays, in the morning which is menbtuioned all the Miniguides of Himachal Pradesh. 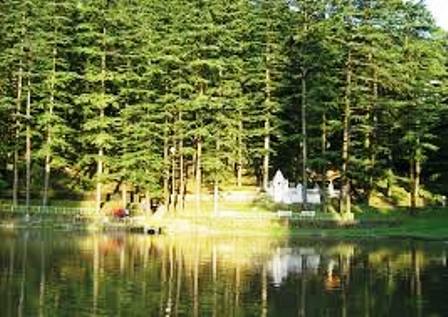 Take a stroll or earn Karma credit by feeding the holy fishes of the picturesque Dal lake with Dharamsala Miniguide. There is an ancient Shiva shrine and Durga Shakti temple where you can meditate in peace. Dharamshala Miniguide explores the ancient Hill crafts and artifacts of Kangra Valley of Himachal Pradesh. It houses the famous Kangra Miniatures. The 1000 years - KANGRA FORT...in Dharamshala ! The beautiful valley of Kangra is a region rich in ancient history. The Kings of Kangra belonged to one of the oldest traceable genealogical lines in India. It was in this vicinity Alexander the Great came to a final halt along the banks of the river Beas. During the 7th century all Miniguides show archeological evidence, that this area was a centre of Buddhism and Hindu tantricism. 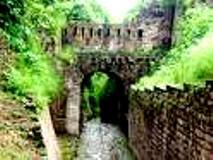 The Persians, Moghuls armies, plundered the Kangra Fort and Temple since, 1009 CE. Dharamsala was founded by the British in 1846 when they occupied the Kangra Fort and annexed the kingdom of Kangra. They attracted many people to work for them. Sikhs, Punjabis, Jammu and Ghurkas from Nepal, lived side by side with the indigenous Kangri people of the valley and the nomadic Gaddi tribes. Legends has it that the Gaddis migrated from Rajasthan, having lost their land there and came to inhabit this region and to lead their herds of sheep and goats over the high passes to seek mountain pastures in summer and the monsoon, but would spend the winters in the Kangra valley. 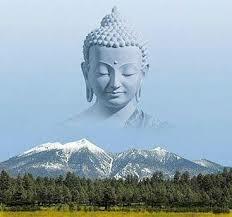 Dharamsala Miniguide has provided many exciting holidays insights to people from all parts of the world. 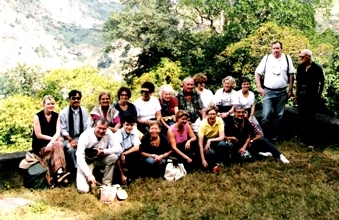 Many groups from USA, Europe and the Oriental have come and enjoyed the beauty of Nature and the ancient Mountain culture of this mystic Valley.
" Best part of the trip was the culture, sightseeings and the Tibetan Losar (New Year) along with the local traditions of the mountain people. Thank you - Danke ! " 26th Feb, 2001 - Tour Leader (Marcopolo Reisen, Germany). Language : Official Hindi and popular with all English. Tibetan is spoken among Tibetan refugees. Cuisine on the Street ! 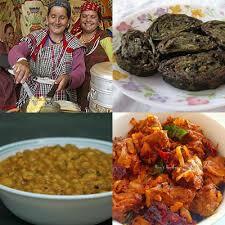 Himachali cuisine and Tibetan Food has much to offer to any Tourist. DRIFT FESTIVAL in Dharamsala from 6th - 10th March, 2019 at Club House. 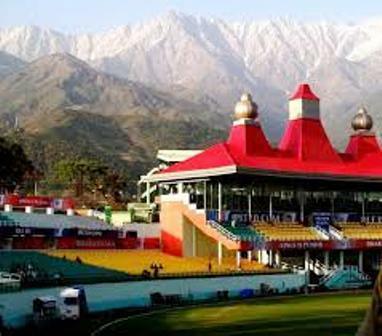 Dharamshala has one of the most scenic cricket stadiums in the world...it would be worthwhile to plan your trip to Dharamsala when the match is on or do some simple sightseeing at the snow peaks in the stadium. Contact us for your Wisdom High Holiday in Dharamsala..plan your trip during the Teachings of His Holiness, The Dalai Lama of Tibet..! The forth coming teachings are on 3rd/5th June 2019.We can arrange a holiday program which includes the registration for the teachings of H.H The Dalai Lama. Dharamsala International Film Festival is held every year in November.Do not miss it if you are in town. Tha Namgyal Monastery..in Dharamshala ! According to Little Lhasa Miniguide, Namgyal Monastery was founded by the Third Dalai Lama, in the late sixteenth century to assist him in carrying out his religious activities. 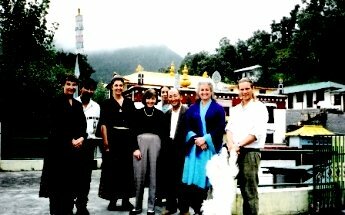 Since then, the monastery has exclusively served the Dalai Lamas. In Tibet, the 175 Namgyal monks and their monastery were located in the Potala Palace, performing spiritual duties and religious ceremonies for both the Dalai Lama and the Tibetan Government. A distinctive feature of this monastery is its diversity of practice: prayers and rituals of all the major schools of Tibetan Buddhism are performed by Namgyal monks. At present, the monastery has more than 180 monks, of which the younger monks study the major texts of Buddhist Sutra and Tantra. 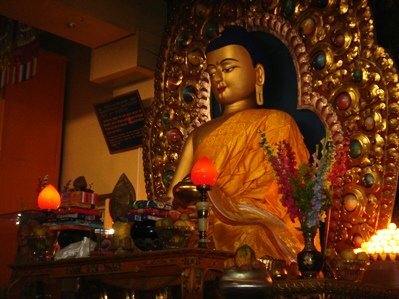 Dharamshala Miniguide gives you a Buddhist Tour in Dharamsala ! Padmasambhava was the great Indian saint who travelled to Tibet in the 8th century and made the first 'Samye Monastery' and introduced the teachings of Lord Buddha Sakyamuni. The image of Avalokitesvara has a moving history. 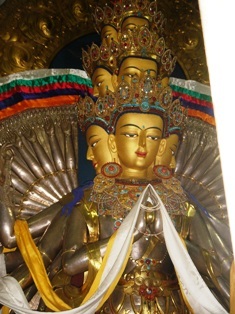 The original jewel-encrusted image in the Jokhang (Central Cathedral) in Lhasa, was commissioned by King Songtsen Gampo in the seventh century. 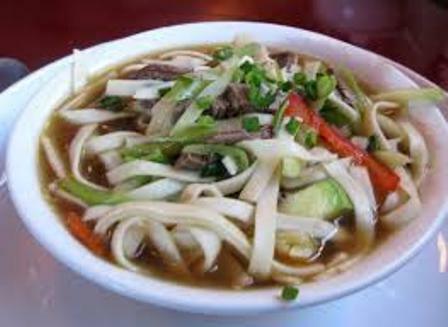 Since then it had become an object of unparalleled devotion for people throughout Central Asia. When Red Guards ransacked the Jokhang during the Cultural Revolution, this image and others were tossed into the streets. From these heaps of broken statues and other religious artifacts, some Tibetans managed to salvage and smuggle out a wrathful and a peaceful aspect of the face images of the Avalokitesvara. Passing through many hands, these face images finally found their way to India via Nepal in 1967. One year later, another wrathful image of Avalokitesvara and one of Amitabha, the Buddha of Boundless Light, reached India through Nepal in a similar way. These faces are encased as precious relics into the newly-sculpted image of the Buddha of Compassion in Tsuglag Khang. The new Avalokitesvara image, which was consecrated in 1970 (the Iron Dog Year of the Tibetan calendar), is made of silver and has eleven faces, a thousand arms and a thousand eyes. Discover the unique history of the the idyllic, golden-roofed Dip-Tse-chokling monastery. It can be seen in the wooded valley from the Central Cathedral and several other points in McLeod Gunj. It is located below McLeod Gunj. Apart from the Tibetan monks, Tsechokling has a small number of foreign Buddhist students who study and reside there. The monks practise Tantric buddhism and learn making of the 'sand-mandala'. The Dorjee(Oracle) of Nechung Monastery..
Dharamsala Miniguide, unveils the mystic Nechung Monastery.. the seat of 'Nechung Dorjee', the State Oracle and protector-deity of His Holiness Dalai Lama & Tibet. 'Nechung' has acted as spiritual guide to the Tibetan Government since the eighth century. 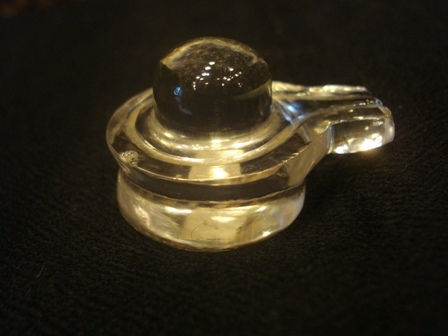 The physical medium is called 'Nechung Kuten'. 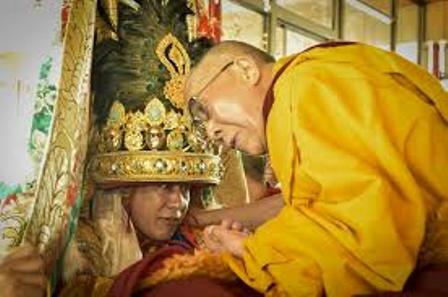 When the medium enters into a trance-like state, the protector-deity, 'Dorjee Drakten', takes possession of his body and gives advice and predictions to the Dalai Lama and Tibetan leaders in exile. 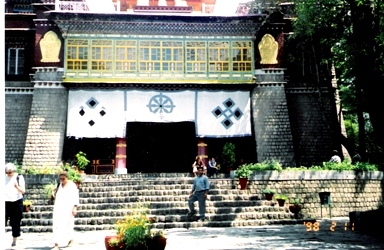 From Dharamsala Miniguide find the original Nechung Monastery in Lhasa. The monastery had 115 monks in 1959 and was razed to the ground during the Cultural Revolution. However, six monks managed to escape to India to continue the complex traditions of the Nechung Institution. The Gadong Monastic Institute & Monastery..
Dharamsala Miniguide takes you on a tour of the Gadong Monastery the seat of the Tibetan Government's second oracle, known as 'Gadong'. Today Gadong Monastery has fifteen monks and a bigger establishment. dharamsala miniguide introduces Norbulingka Temple.. 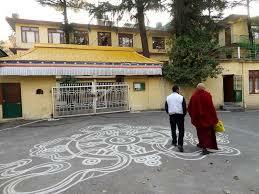 The Norbulingka Institute of Tibetan Culture was founded to preserve and promote Tibetan art and culture in exile. It derives its name from the His Holiness the Dalai Lama's beautiful summer residence, the 'Norbulingka' (Jewel Garden), set in parkland two kilometers from Lhasa. 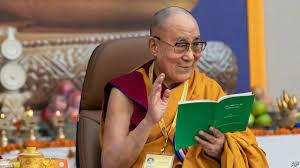 Fearing for the future of Tibet's cultural heritage, the Seventh Dalai Lama, Kelsang Gyatso, established institutes of arts and science there in 1754. It houses the Sakyamuni Temple, and the walls depict the entire life of Buddha..the Enlightened One and the wall portraits of the Dalai Lamas of Tibet ! The Gyuto Ramoche Tantric Monastery..
Dharamsala Miniguide : In March 11, 2005 His Holiness the Dalai Lama conducted the inaugural ceremony with 3 days of teaching on Gyuto Monastery's principal tantric deity, 'Ghuyasamaja' - the King of Tantra. 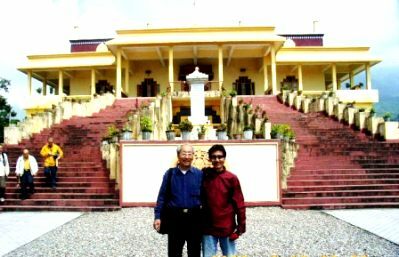 Today this is the residence of His Holiness the 17th Karmapa of Tibet after his escape from Tibet in 2000. There are 150 Gyuto monks young and old practising Tantric Buddhism in Dharamsala. The Blessings of the Weather Gods with Dharamsala Miniguide..
Zilnon Kagyeling Monastery’s 'Ngagpa-La ,the head lama’s job is to “make and stop rain, stop hail storms and control weather” through Tantric practice. This mystic practise is based on the relationship between environmental ecology to human body, mind and spirit! 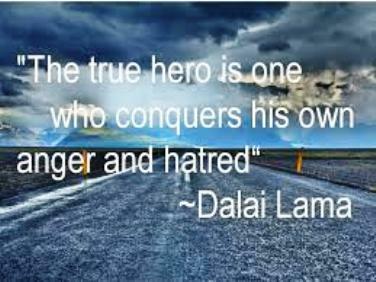 For more on dharamshala, tibetan places & names...click here ! 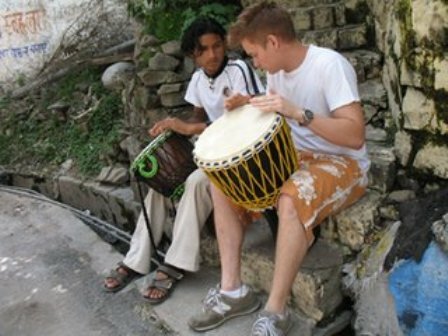 Home stay Dharamsala.. People love to experience the local Himalayan culture of Dharamshala. A Dharamsala Miniguide would be incomplete without talking about the warm hospitality of Home Stays and Mountain home retreats in this Himalayan town! Tibetan Home, Himachali homes are popular places for enjoying local flavors.From Luxury to Budget Hotels allow us to be your travel Guide in Dharamsala. 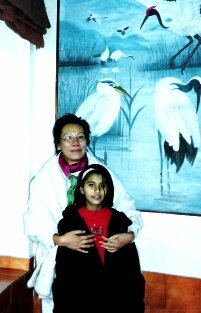 Enjoy Himalayan Home Stay..Vidya Niwas Dharamsala..Click here ! 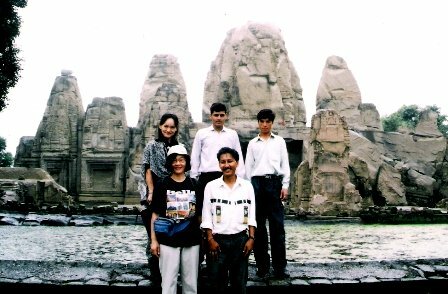 Dharamsala Tours & Travels has given many 'spiritually energizing holiday' experiences to travellers from all over the world. In our quest to provide sustainable vacation with knowledge and personal growth we hope to do better every day. " We had a wonderful and happy time. A quiet holiday retreat with my daughter at Vidya Niwas , discovering so many beautiful places in Dharamsala with our young guide. " Contact us for a Himalayan Experience..!